Sherlock Holmes is one of the best-known and most beloved in all of literary history. His tales and exploits have been the subject of countless adaptations, re-imaginings and parodies. The world’s most famous detective has appeared on television, film, radio, video games and theater. But while the fictional detective may never been far from our imagination and have consistently used his wit to outsmart England’s various criminals, there’s one puzzle he has never been able to resolve: What is his copyright status? Instead, that mystery was one for a U.S. District Court Judge to unravel, namely Judge Ruben Castillo in the Northern District of Illinois. How Judge Castillo answered that question has potentially huge implications not just for Holmes, but for other copyrighted characters, many of which have been developed over years or decades. The lawsuit was filed by an author and Sherlock Holmes expert named Leslie Klinger. Klinger had sued the estate of Sir Arthur Conan Doyle, the author of the Sherlock Holmes stories, saying that the estate repeatedly threatened him over an anthology about Holmes he was working on. Many of the facts of the case were not in dispute. Both sides agreed that Conan Doyle had written 60 Sherlock Holmes stories, including four novels and 56 short stories. All of the novels and 46 of the short stories lapsed into the public domain years ago and can be used without license. However, ten of those stories were published after 1922 and are still protected. Klinger had been working to create an anthology of new Sherlock Holmes stories written by modern authors. This prompted the Conan Doyle estate to threaten legal action against him prompting Klinger to preemptively sue. According to Klinger, since the vast majority of the Sherlock Holmes stories were in the public domain, including most of the stories that defined the character of Sherlock Holmes, he felt that the character himself was in the public domain. The Conan Doyle estate took a different view, saying that Holmes was not a “flat” character and was one that evolved over time. Therefore, the character wasn’t completed until the last story was finished and, because of that, the entire character was still copyrighted. The judge, however, didn’t really take either view, at least not wholly. While the judge acknowledged that Holmes is a character that evolved, he also acknowledged that most of that evolution took place in the stories already in the public domain. 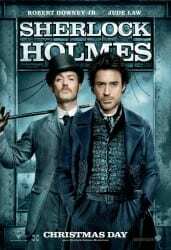 In the end, the judge split the character, listing elements of Holmes that were not copyright protected, such as Holmes’ name, appearance, friendship with Dr. Watson, etc., and protected elements that were introduced in the later stories, including Holmes’ past with a detective agency. While this “splitting of the character” could be seen as a defeat for the idea of a public domain Sherlock Holmes, the truth is, by the time 1923 rolled around, the character was very well established and the protected elements are, at best, minimal. Though the Conan Doyle estate is weighing an appeal, the ruling is a massive victory for those that want to create new works based on the Sherlock Holmes character. Outside of a few lesser-known and less-important elements, Holmes is in the public domain for the time being. Even if the ruling does settle the issue of Holmes’ copyright status, which is unlikely, there is another challenge: Trademark. The Conan Doyle estate has filed several trademark applications for names related to the Sherlock Holmes stories. Of course, they aren’t the only ones filing such trademarks though the estate claims to be fighting others who have done so. This raises some very difficult questions about trademarks arising from public domain works. Trademarks, unlike copyrights, can be perpetual and can grant the owner a great deal of control over the name, in particular when it’s used as part of a business or product. Furthermore, the Conan Doyle estate has responded to the ruling saying that it feels the decisions doesn’t place Holmes in the public domain but that, rather, the judge simply didn’t rule on the question of the character himself, just the stories he was in. This, however, seems to be disputed by the judgment itself. Still, it’s trademarks and legal theories could give the Conan Doyle estate plenty of ammunition to threaten others who plan on creating their own Sherlock Holmes stories. That threat alone is often enough to compel a license, since litigation is, usually, much more expensive and time-consuming than licensing a work. So is Sherlock Holmes really in the public domain? There’s no easy answer for that. If the ruling stands as is, legally, the character probably is. That is, all of the things most people know about the character at least. However, just as with the happy birthday case, practical and legal are two different things. If the Conan Doyle estate feels comfortable threatening others that use Holmes’ name and character, licensing is still often cheaper and easier than litigation. We see this a fair amount in copyright, including the estate of Martin Luther King Jr. seeking licenses for likely fair uses of his “I Have a Dream” speech and the aforementioned “Happy Birthday” case. However, this is probably most common in patent law, where some companies compel licenses on patents that are likely to be found invalid if challenged. This is a problem pervasive in the entire legal system, not just intellectual property and there are no easy solutions. However, with a character as popular as Sherlock Holmes, it seems like that we’ll get our definitive answers soon enough.